Saturday, April 25th is World Malaria Day. We put our Faith in Action. 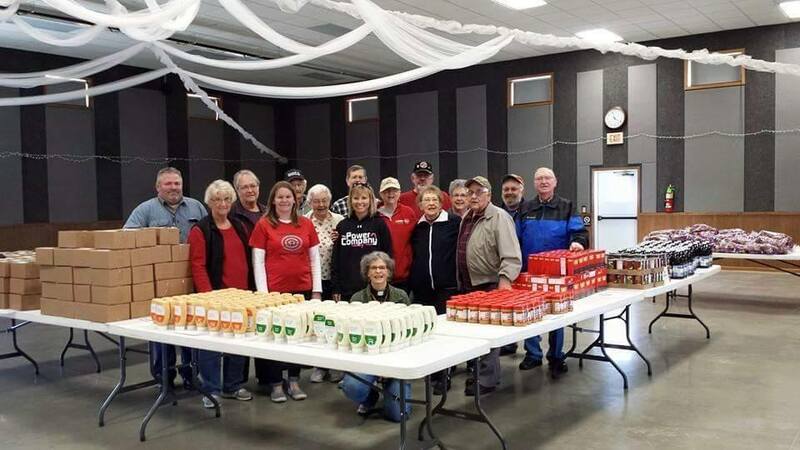 The first annual Food Bank was a huge success, thanks to the many volunteers who shared their time in unloading and setting up the Expo Center before the doors opened. Then with the aid of even more helping hands, additional volunteers helped distribute and carry out food to cars when needed. The little remaining food was delivered to Upper Des Moines for local distribution. This Food Bank will be held quarterly, so watch for future dates, and help spread the word! Thanks to everyone who committed to making this first-time event happen! 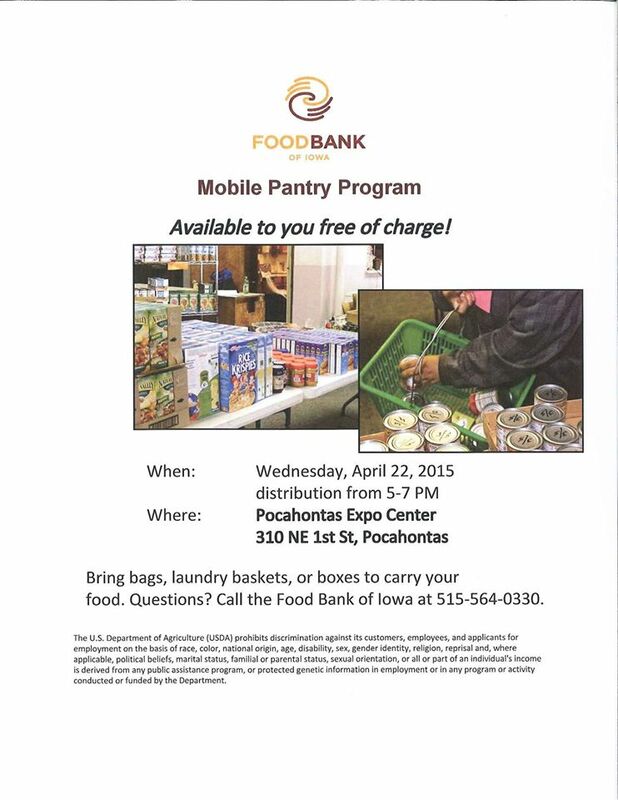 Please share this information with anyone who could benefit from some FREE FOOD! See the poster below for more details. This Wednesday – April 22, 2015 from 5:00-7:00 p.m. at the Expo Center in Pocahontas. Anyone who is available to help with set-up, please be at the Expo Center by 11:30 to start unloading the semi. This is a great opportunity for our community! 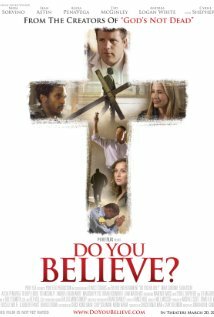 “Do You Believe” Movie Night – – Come join the fun and bring a friend!! “What’s this movie about,” you ask? Well, here is a short synopsis: When a pastor is shaken by the visible faith of a street-corner preacher, he is reminded that true belief always requires action. His response ignites a journey that impacts everyone it touches in ways that only God could orchestrate. So, mark your calendar and invite some friends! This is a great chance to have a fun night out! If you have any questions, please contact Monica P or Mary P or the church office. Hope to see you there! Alleluia! 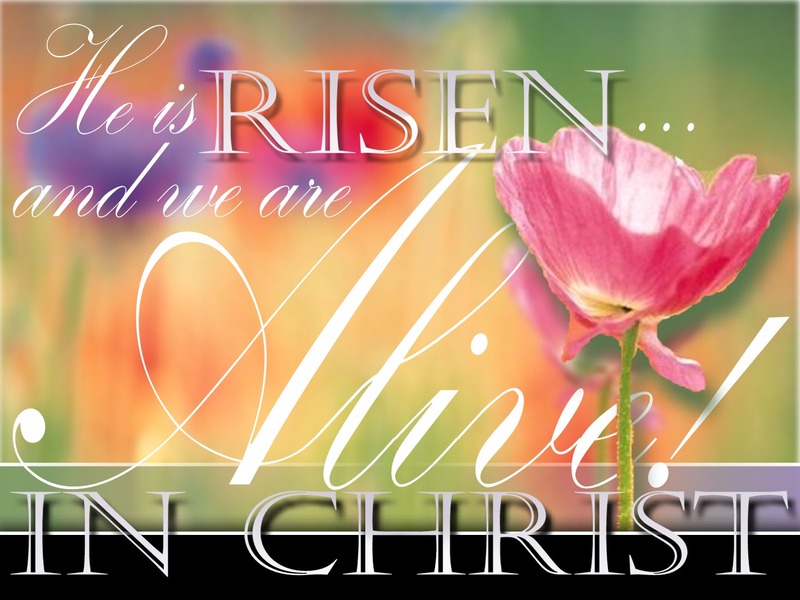 Christ is risen indeed!! Easter Blessings to you and your families! Come join us for Easter Worship! We invite you and your family to Celebrate Easter with us this Sunday, April 5th.